Animals have always been revered in most cultures as they are believed to have spiritual links with humans. 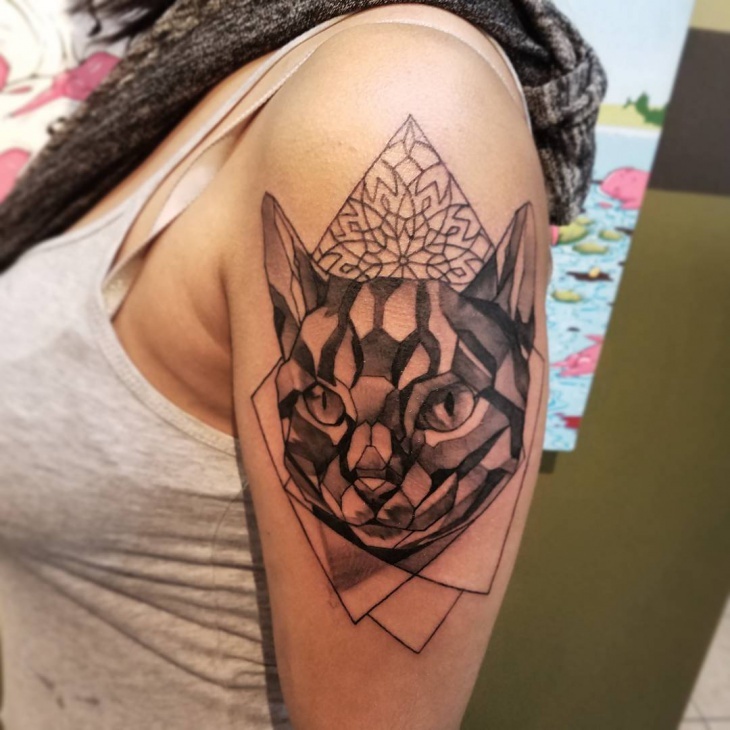 You can take any animal be it a wolf, tiger, elephant or dragon with traits that you can relate to and ink it in a geometric design. 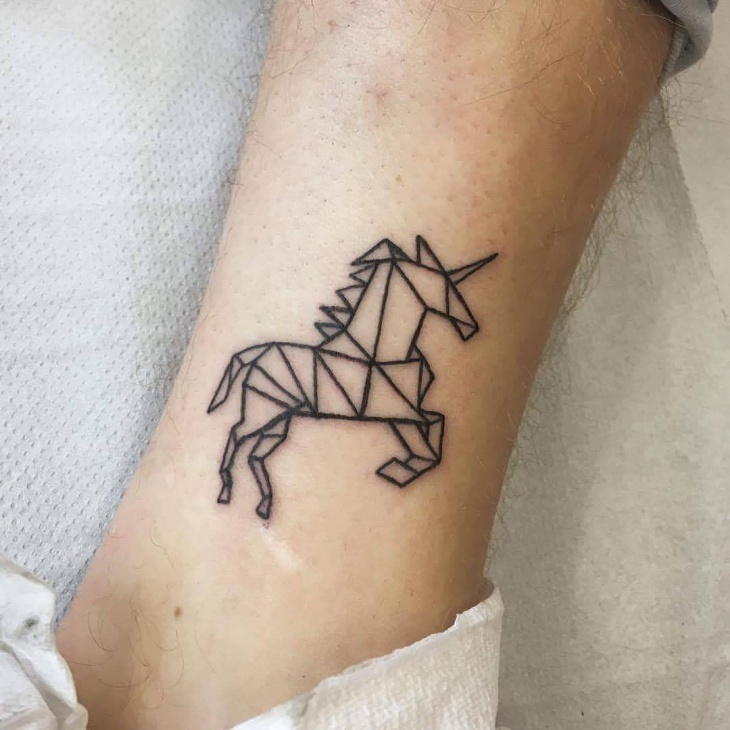 Small geometric tattoos are cute and elegant making them ideal for people who prefer less visible tattoos. 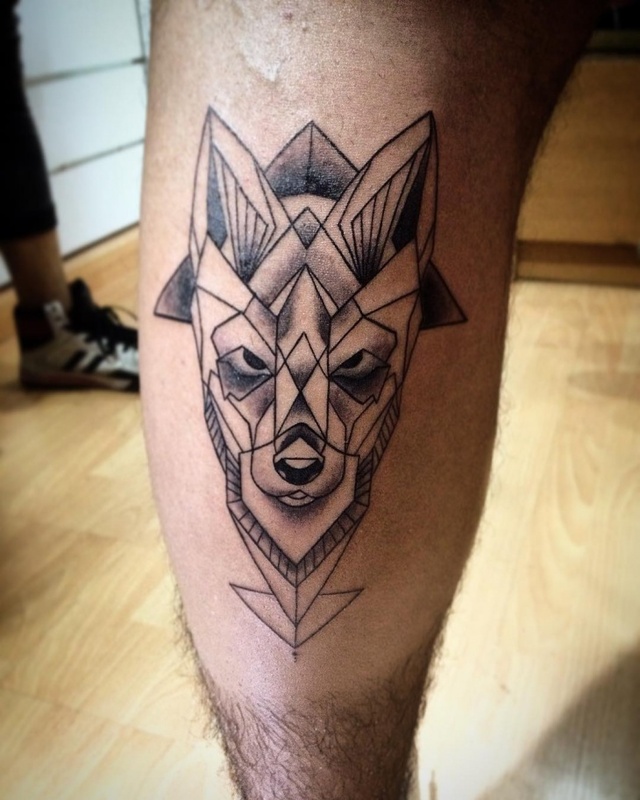 You can ink a Mandala, arrow, or anchor tattoo in a geometric design. 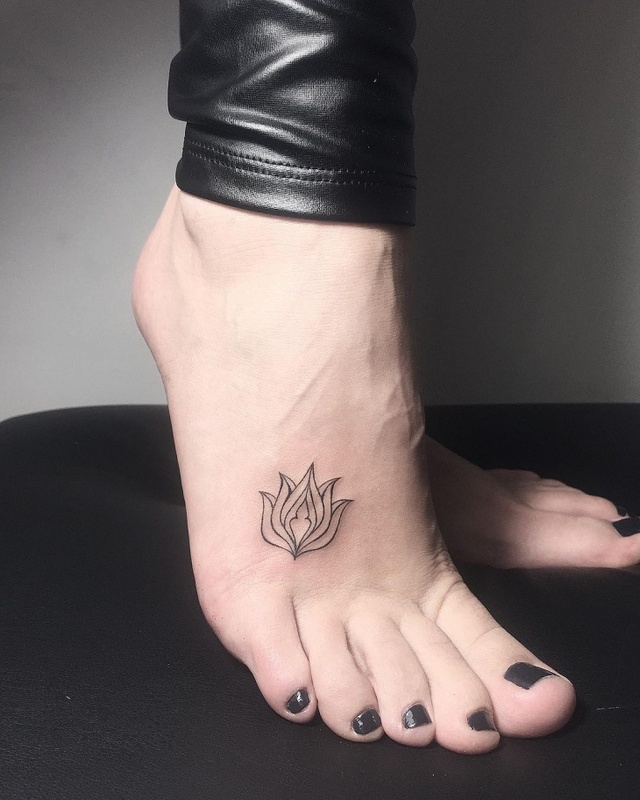 Place these tattoos on the finger, foot, behind the ear neck. 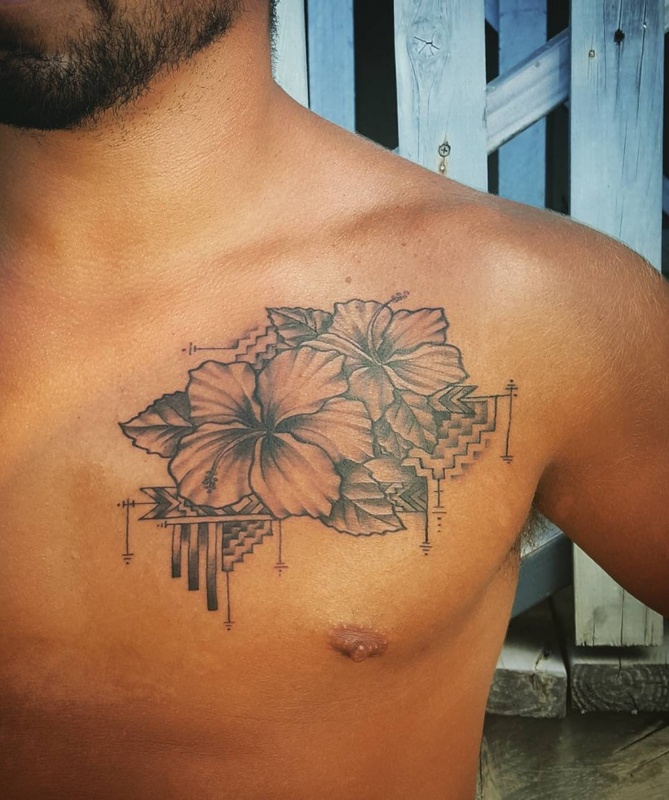 Adding a flower to a geometric tattoo gives a personal symbolic meaning or accentuate the beauty of your design. 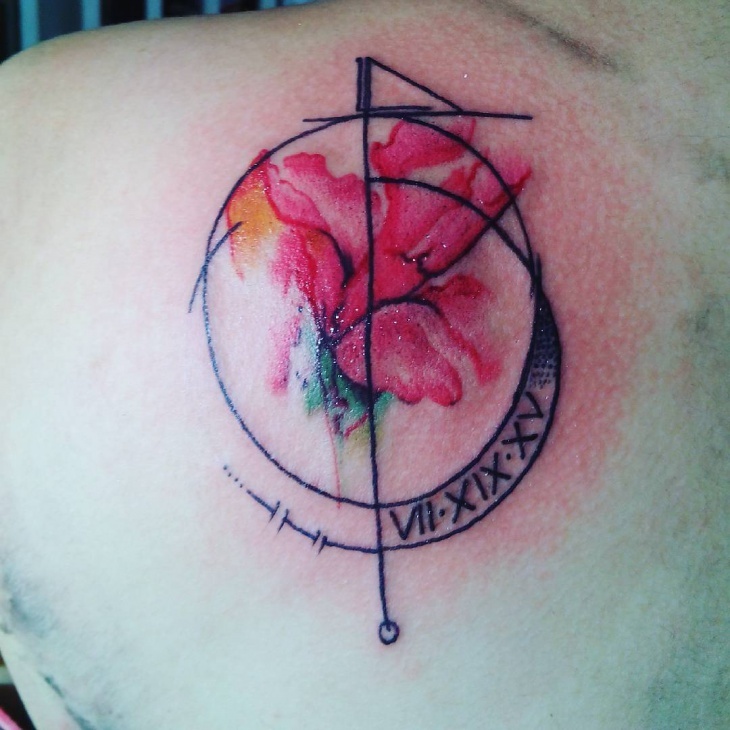 Each flower has its meaning so do research before integrating it in your tattoo. This body art represents beauty, life, youth, love and femininity. 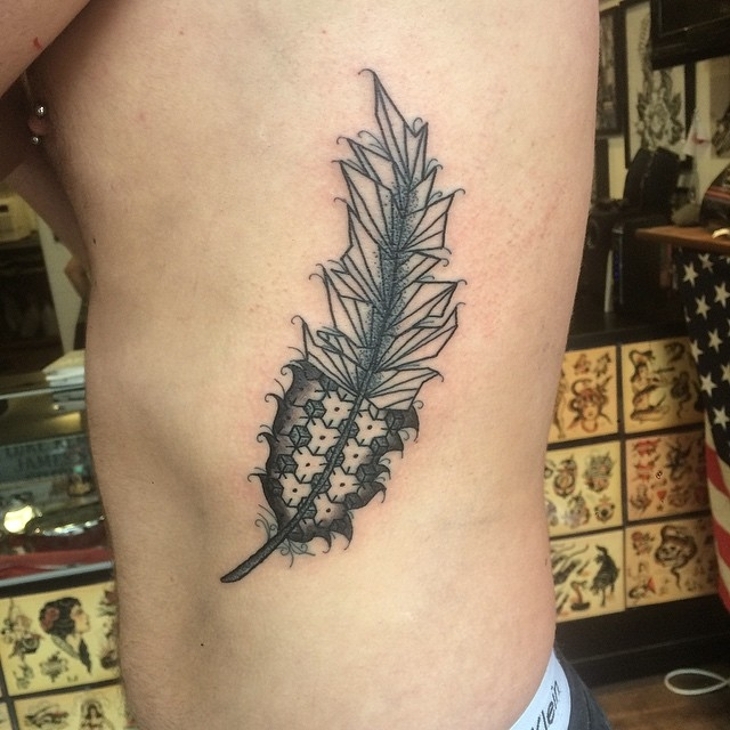 With many bird species available to date, you will definitely find a feather design that appeals to you. 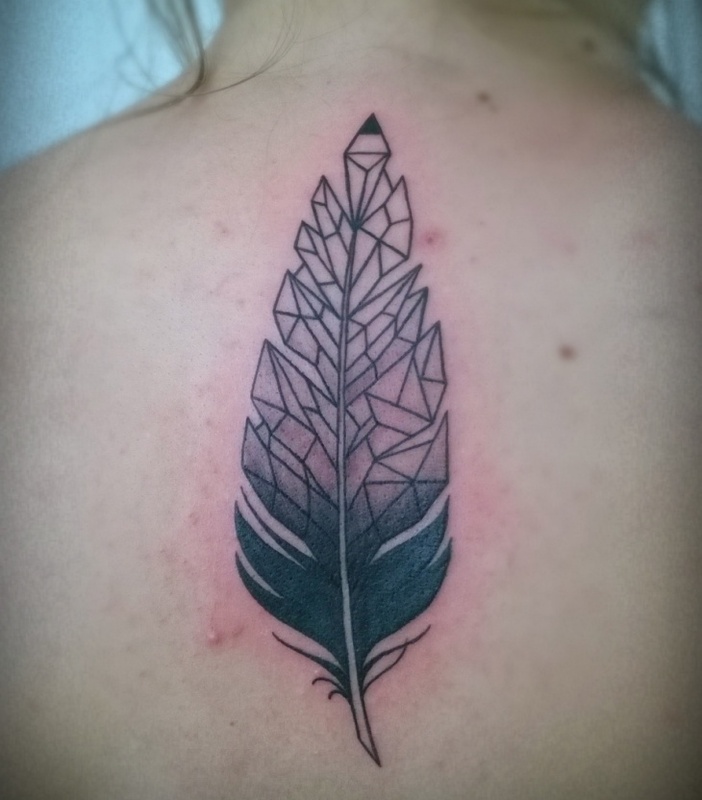 Geometric feather tattoos link different shapes and lines with the spirit of the bird. Popular in native America these tattoos show how birds balance during flying. 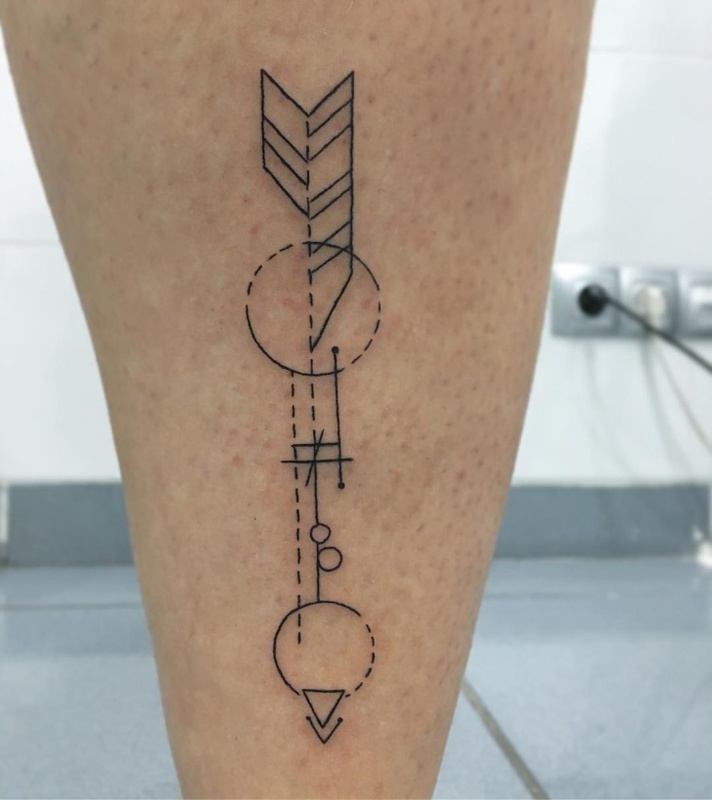 Geometric leg tattoos are perfect for girls who want to decorate their legs. You can reveal your tattoo by wearing shorts or a skirt which is above the knees. Those who tend to wear pants most of their days will prevent frequent exposure to the sun hence reduce fading. 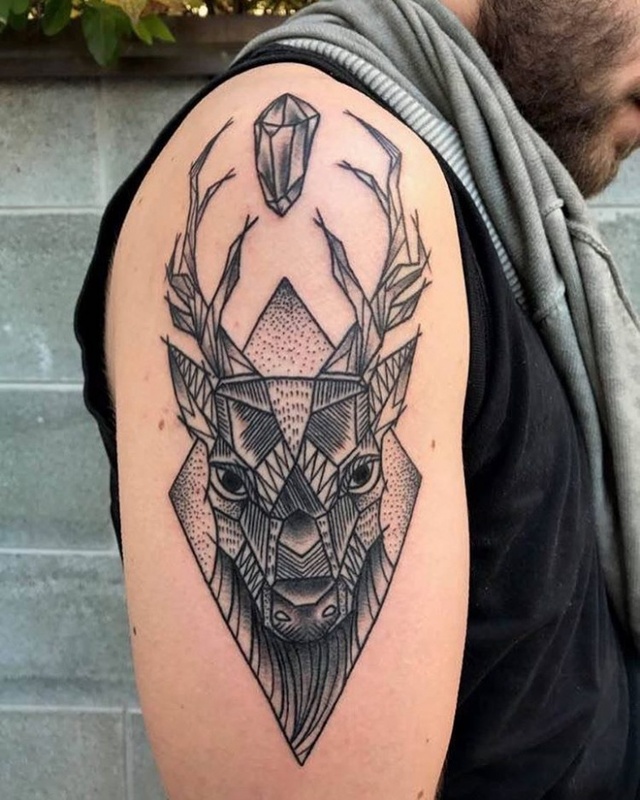 Arrow tattoos are among the most popular options when it comes to choosing simple geometric designs. While they represent direction and readiness to defend against enemies, the geometric effect gives the arrow a modern appeal. 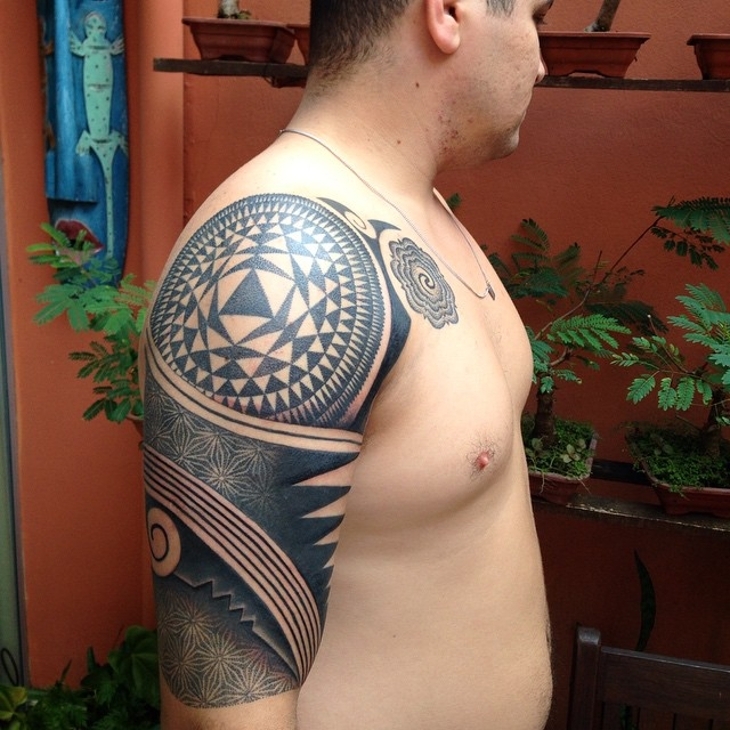 Most tribal tattoos tend to feature geometric shapes like circle, triangle and squares. Each of the shapes is specifically selected and added to portray a unique meaning. In many cultures, these tattoos have magical qualities. You can choose from Samoan, Maori to any Polynesian design. 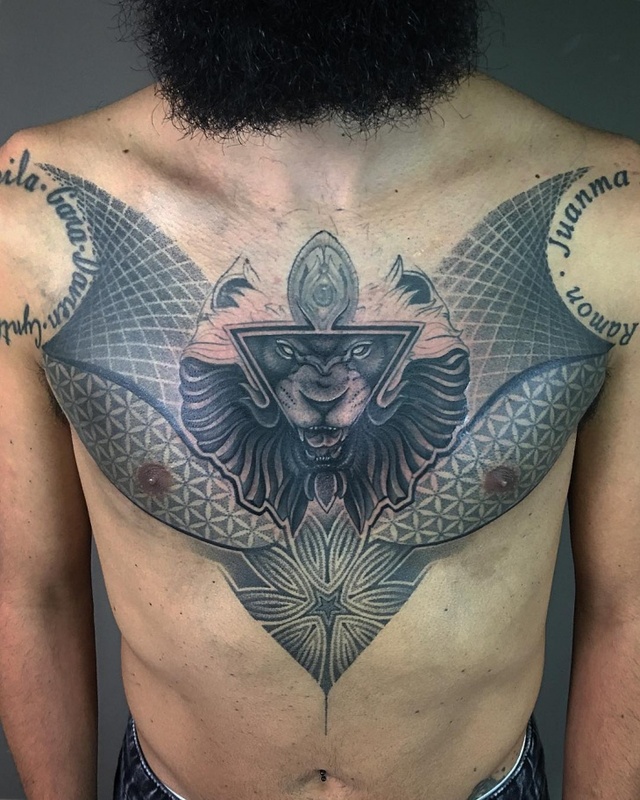 The chest provides ample space on which you can incorporate different geometric tattoos. You can use the shapes to tell a story. 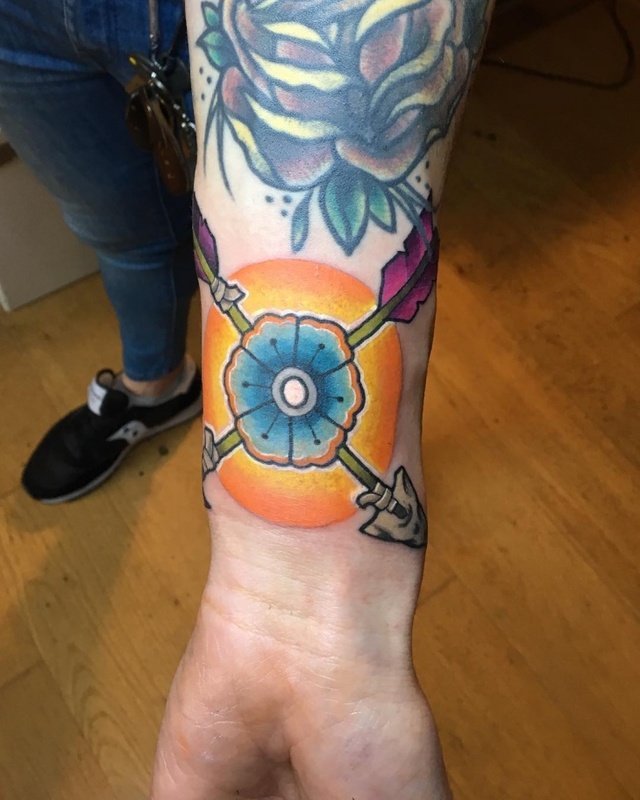 The circle represents wholeness; dodecahedron symbolizes a spirit while a fire is depicted through a tetrahedron. 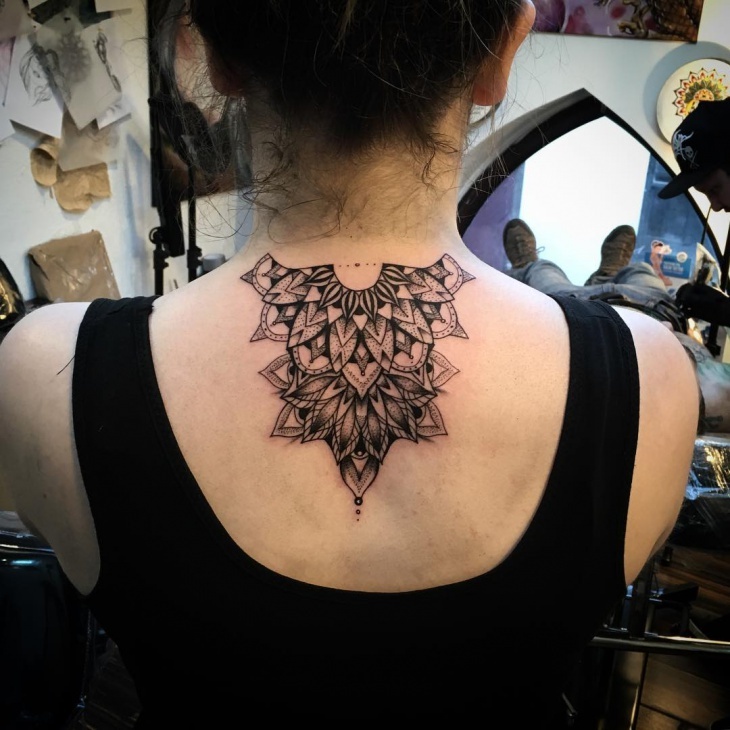 Whether in Hindu, Buddhism or Christianity, Mandala tattoos feature circles which give them a geometric feel. The circle is a symbol that represents the moon, sun, earth and even the universe. The floral pattern makes these tattoos feminine. 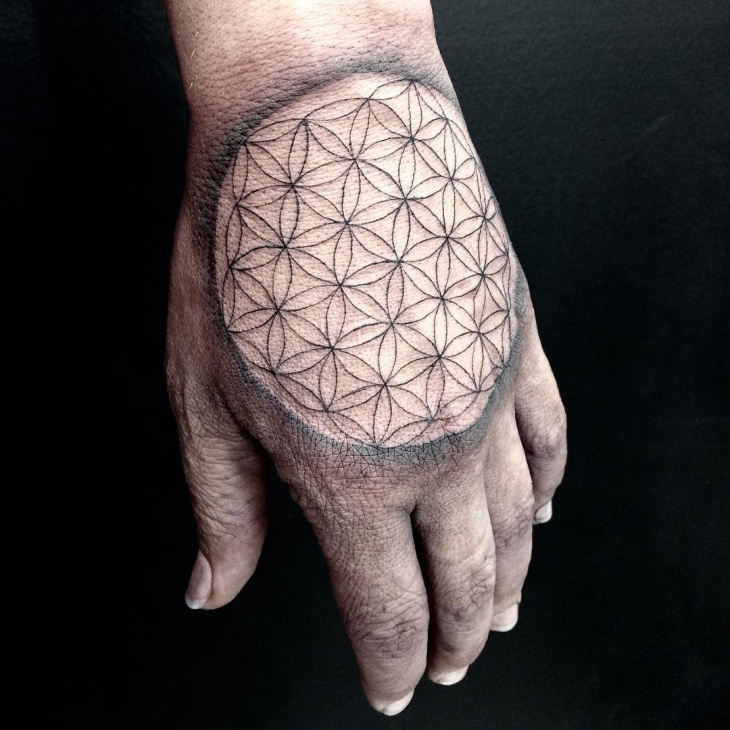 Expose your geometric tattoo to other tattoo lovers by inking it on the hand. 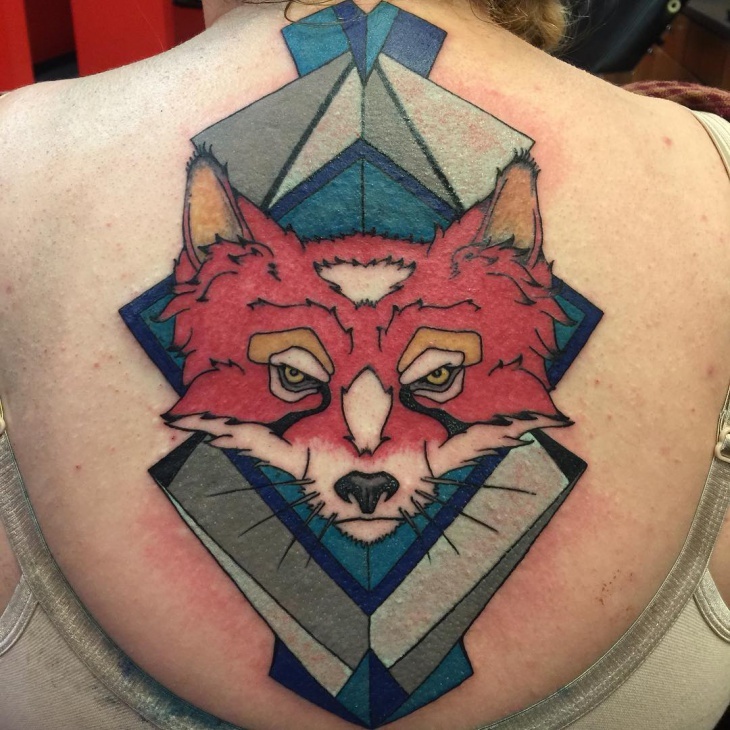 This body area has a relatively flat surface on which you can show the evenness of geometric tattoos. 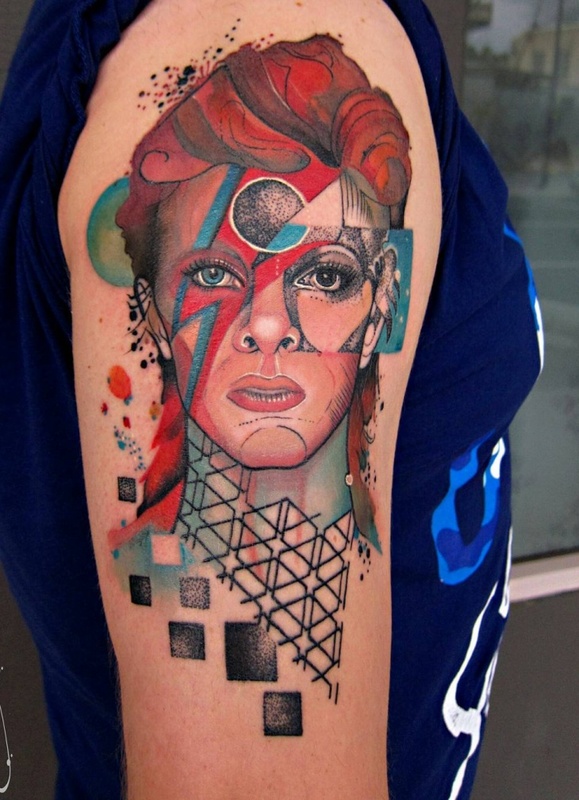 Be it on the forearm, inner arm, outer arm or lower arm, geometric arm tattoos are so versatile. They can show the delicate nature of a woman’s hand or the manliness of a man’s hand. 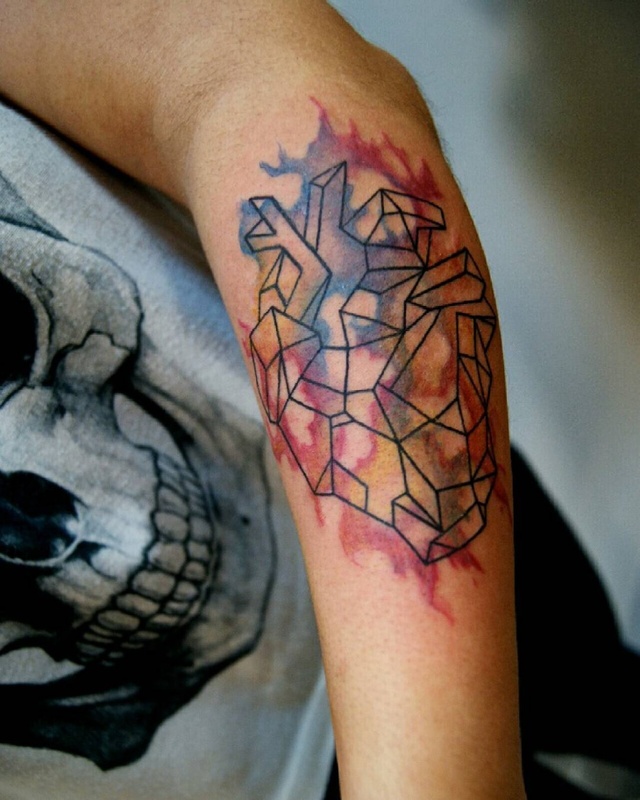 These tattoos are attention grabbing and you can hide them by wearing long sleeve outfit. 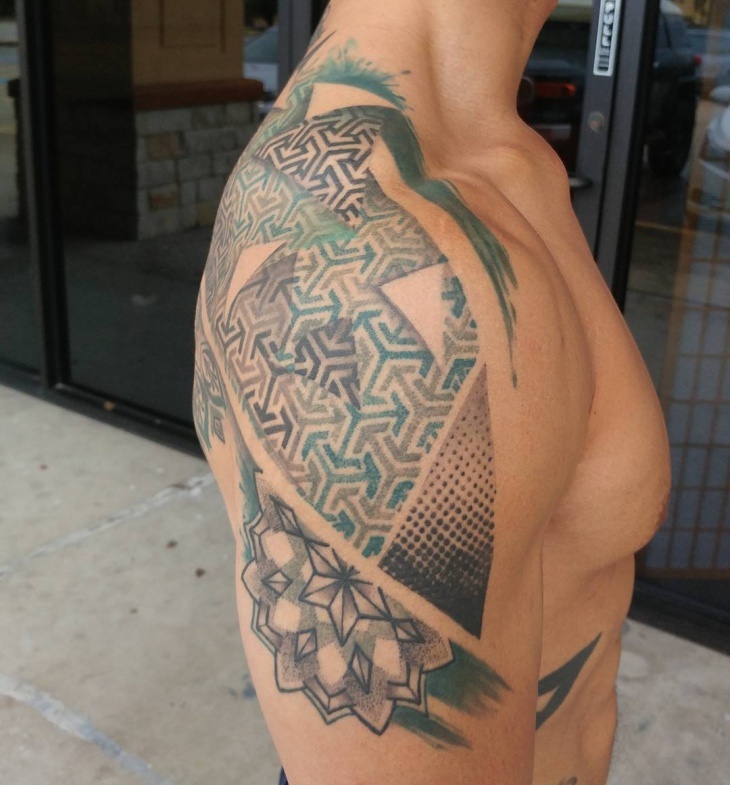 Geometry tattoo tends to symbolize perfection in symmetry and balance between different elements. 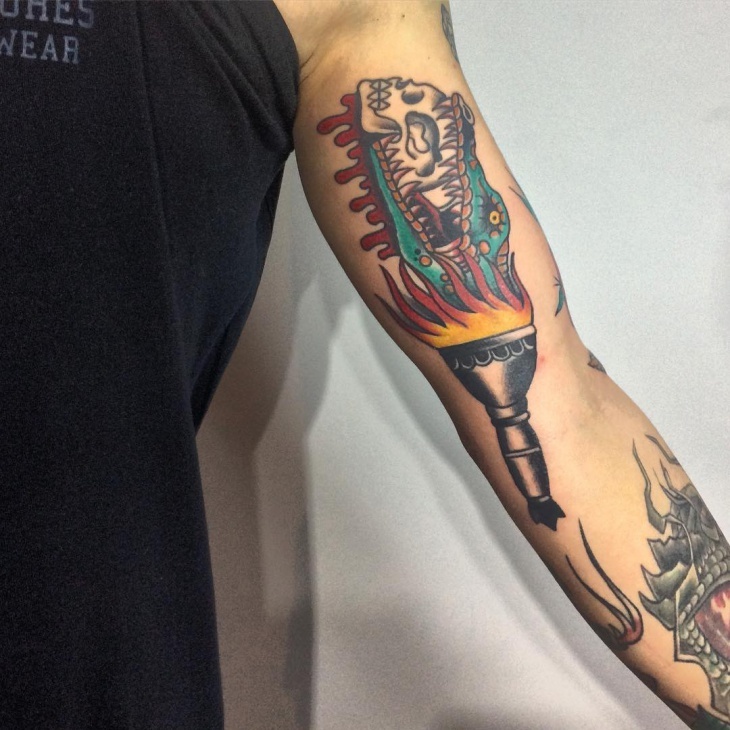 These tattoos require an experienced artist as a slight deviation will often be noticeable. 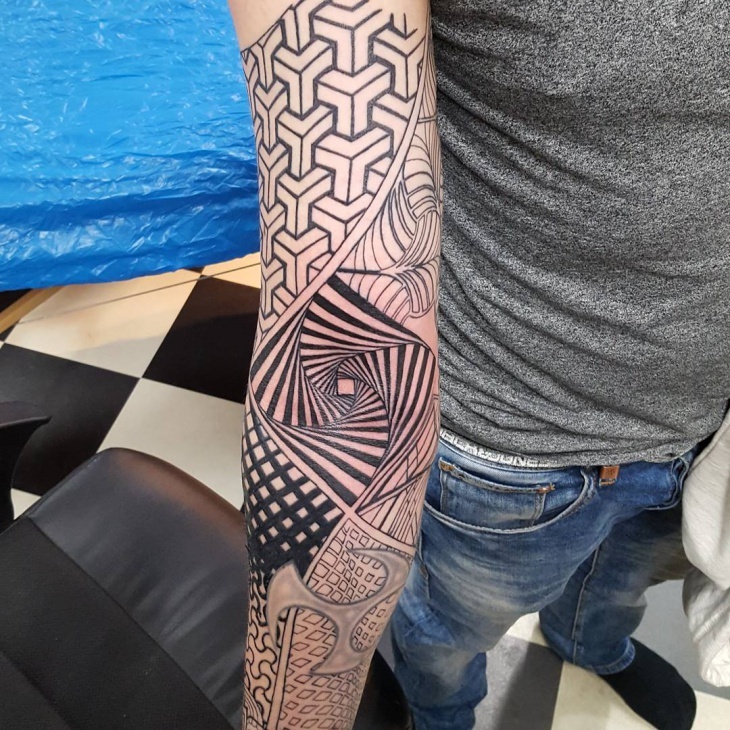 You can choose from bold designs that are done in watercolor or 3D design or opt for geometry tribal tattoos drawn with black ink.